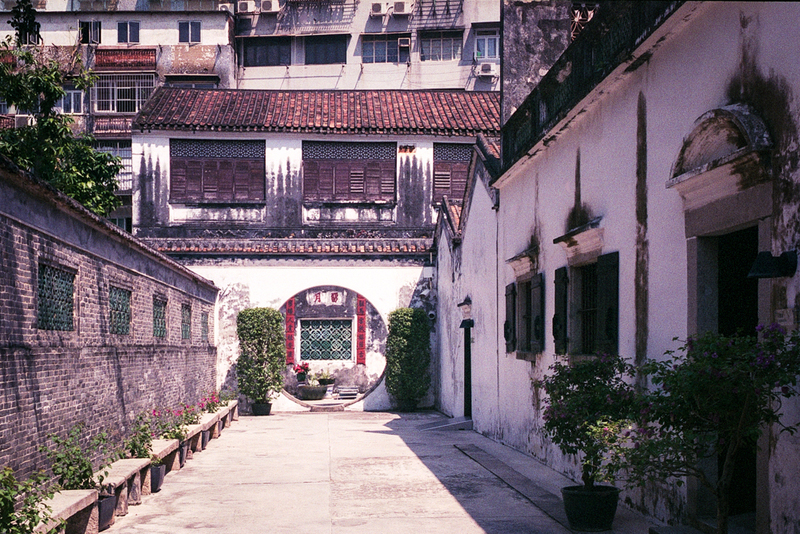 In the heart of Old Macau lies Mandarin House, an old Chinese merchant’s home. It’s wonderfully evocative and, unlike what you find in Hong Kong is a piece of actual Chinese history. Round doors, magnificent woodpanelled rooms, it’s a tiny labyrinth. That is, of course, when the battery on my x100f decided to say bye-bye so I switched to film, obviously less versatile in low light, but still good for exterior shots.